MOTIVATED SELLER. BRING US AN OFFER! 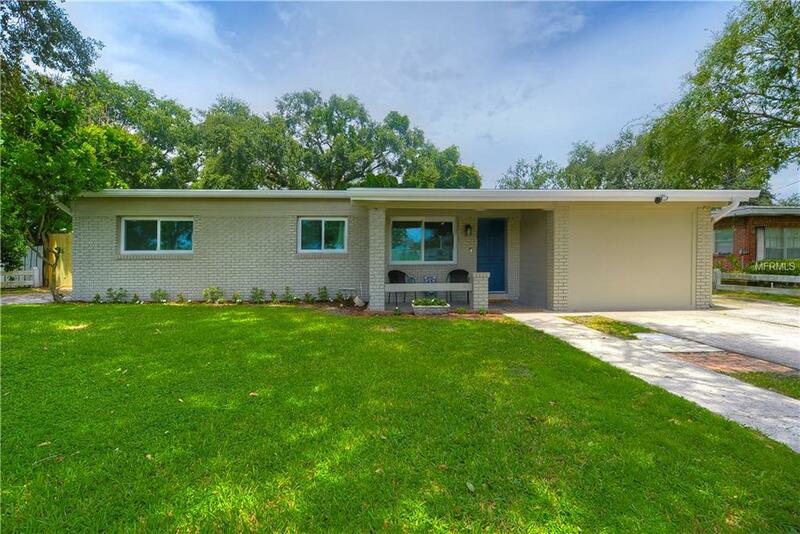 Wonderful location and completely remodeled home in Carrollwood! NO HOA. Income potential home if you wanted to use one of the 4 bedrooms for AirBnb. Home offers 4 bedrooms, 2 bathrooms, 2 living areas, an enclosed lanai and a storage shed. Backyard is big enough for you to park a boat. This home features upgraded flooring, new lighting fixtures, updated kitchen and bathrooms, fresh neutral paint, BRAND NEW ROOF (DEC 2017), NEW HURRICANE IMPACT WINDOWS. Kitchen comes with stainless steal appliances, gorgeous granite countertop and custom cabinets. The open floorpan makes it perfect for entertaining friends and family. The master suite is approximately 600 SqFt with a large full room closet leading to the master bath with double sink vanity and double shower-heads. HOME IS TRULY MOVE IN READY, all you need to bring are your clothes. Even furniture is negotiable. Listing provided courtesy of Tampa Bay Key Realty.